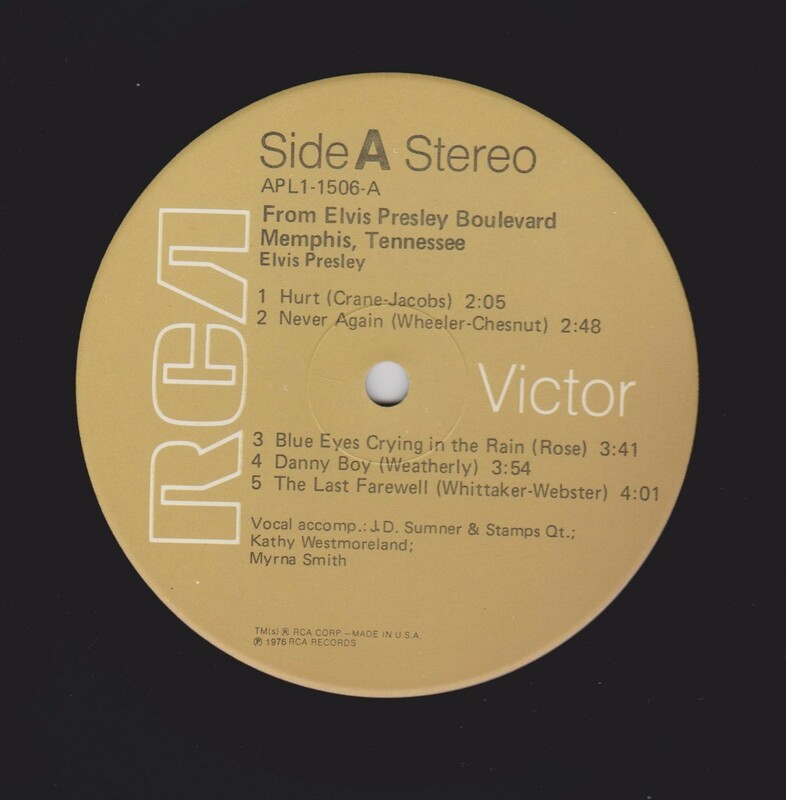 From Elvis Presley Boulevard, Memphis, Tennessee is an album by Elvis Presley, released in 1976 on RCA Records. It is often mistaken that this is a concert recording as the album states the songs were "recorded live". While this is true, the songs were recorded live in the recording studio at a studio set up in Presley's mansion, Graceland, not in front of an audience. Two songs recorded during the session would be released the following year on his final album, Moody Blue, Moody Blue and She Thinks I Still Care. 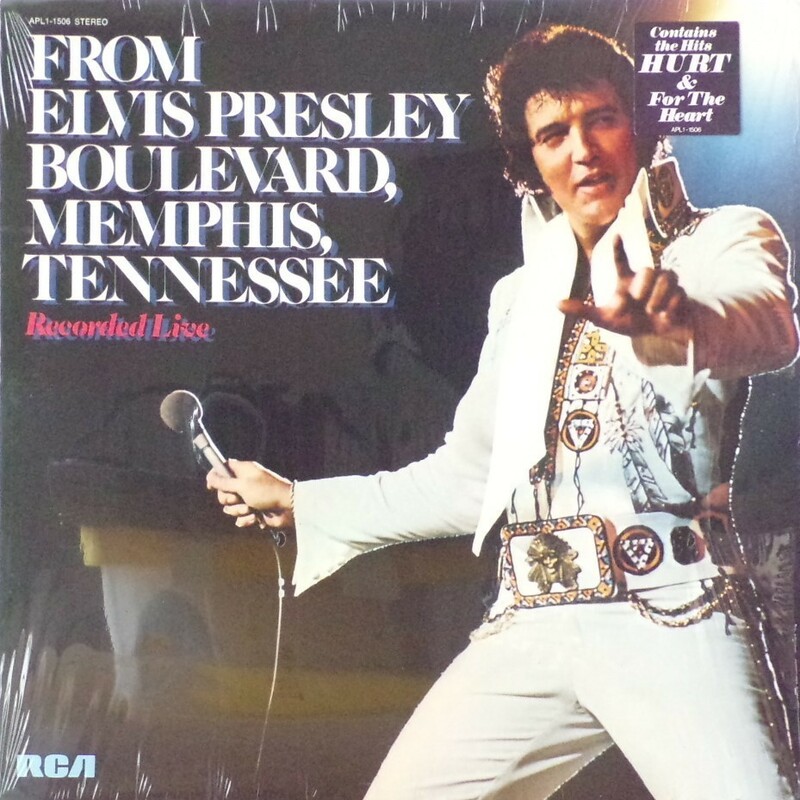 From Elvis Presley Boulevard, Memphis, Tennessee was the King's fourth album to reach #1 on the Billboard country music album sales chart. 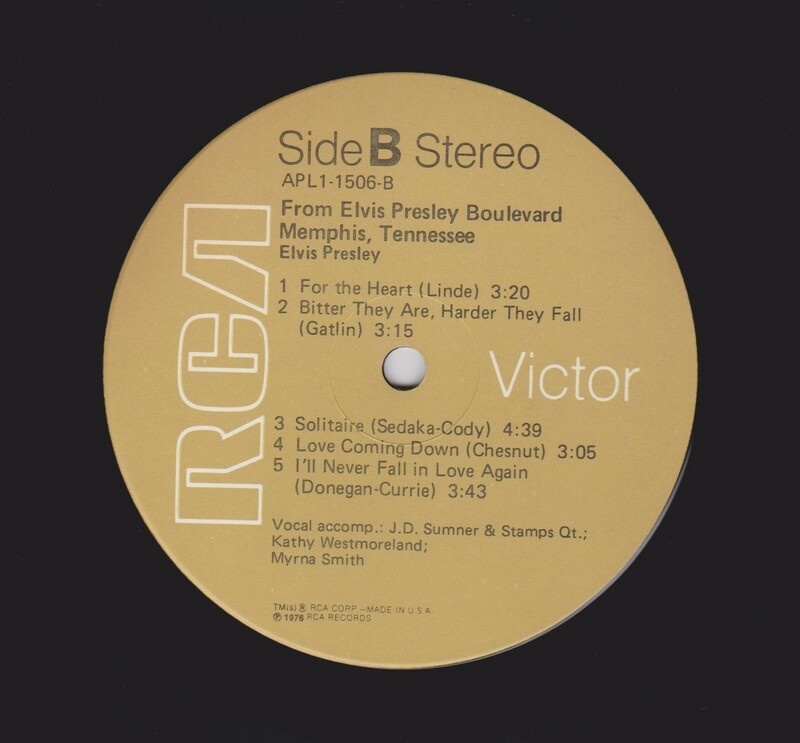 In the CD format, the tracks of From Elvis Presley Boulevard, Memphis, Tennessee were added to Moody Blue in 2000 to create an expanded 19-track CD of the latter title. 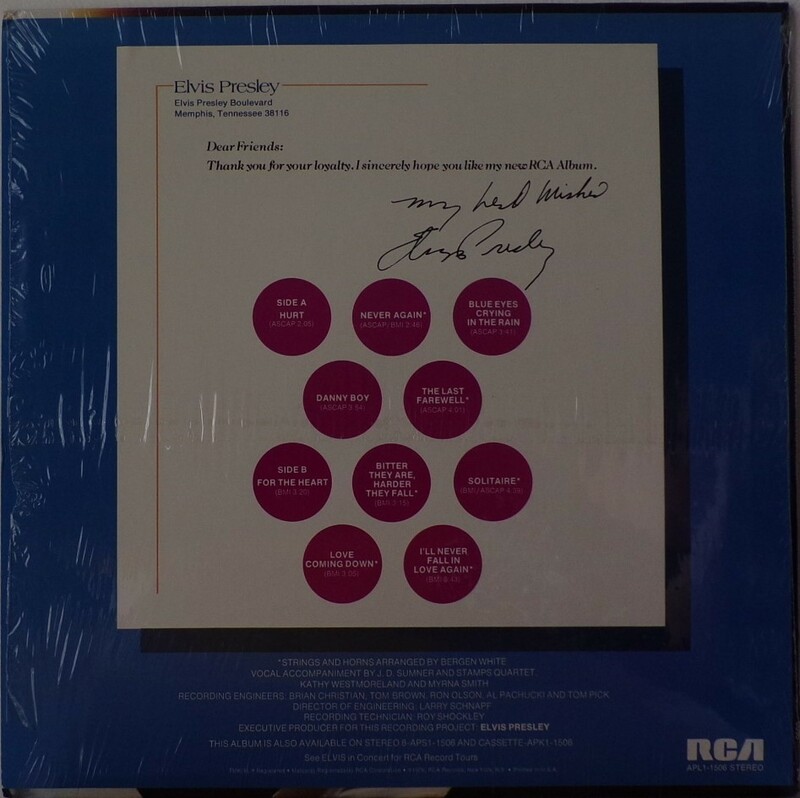 It was certified Gold on 10/7/1977 by the RIAA. Front Cover : Photo of Elvis. Title top left. Catalogue number top left. ​​Rear Cover : All text. Catalogue number bottom right. Printed in U.S.A. bottom. Label : Tan. Flexible vinyl. Side A : Stereo top. Side B : Stereo ​top. *NOTE* Front cover Hype sticker "Contains the hits Hurt & For The Heart APL1 1506.